Conquering Super Mario Bros. 3...the long way! With our baby on the way come March, there's a part of me that's ready to become a father. There's also a part of me that thinks that half the things I do for fun now will be severely crippled once that baby gets here. With household chores, such as doing the dishes, if I'm in the middle of playing a game or watching a movie, I'll procrastinate and finish my fun. There's absolutely no way I can do that when baby needs feeding. No, you won't collect that seventh Chaos Emerald dustin, you will feed that kid, change his diapers, and maybe in a few days you'll get a 5-minute window to topple Robotnik. MAYBE five minutes at the most. I know that might be a slight exaggeration, but I think I'm being realistic to think that when it comes to entertainment, my life will get a drastic overhaul. So in the next few months, I'm taking the time to try doing things that I won't get many chances at doing later on in life. For instance, last Saturday Allicia and I took a random trip to Loretto, Pa., to see the Sunken Gardens (more on that in a separate post). Last night, however, I did something I could never manage to do when I was a child. Complete Super Mario Bros. 3. Without warping. At first this doesn't sound very difficult. But for some reason, Super Mario Bros. 3 was created without a battery backup to save your game, nor was there a password system. You had to finish this game in one sitting. All 8 Worlds. Most people can't handle it and just use warp whistles to skip through levels. But I wanted to get that feeling of accomplishment, so last night I sat down at the NES after everyone had gone to bed (my sister is visiting this weekend) and threw myself back to the 90s. For four hours. A long time to play a game. I'd only played the game sparingly since I was a child, never really dedicating any time to making progress in it. Playing through it though, I felt like a kid again. Grab that leaf, fly through the air, taking a boat to explore the islands of the water world, then head off to worlds filled with ice, pipes, and clouds. The game really did a great job of giving you a sense of adventure. You could imagine yourself in that boat. You could imagine yourself roaming through the world of Ice. For a kid, that's an amazing feeling, one that I could only previously find in books. As a brief aside, to show how much the game has stuck with me for years, this song, played on the world map of the Ice World, ALWAYS gets stuck in my head whenever it's really cold or snowy outside. The snow was so bad this winter in Harrisburg that I purposely cranked it up in my car and drove around on the icy roads. • The stages are really short. Which is a good thing, because without being able to save your progress, if they were any longer nobody would be able to complete the game. They seemed much longer when I was a kid, but I was able to get through a few in less than 30 seconds. • Those special suits really don't show up very often. Take the Hammer Bros. suit, for instance. The only place I found it was in a mushroom house in world six (I didn't use a strategy guide, so it's possible it could have been in a few more spots). Once you lose it, you aren't getting it back. And that's a shame, because it was such a fun power-up, that it would have been nice to have it around longer. • Level 5-3 houses the greatest Super Mario Bros. powerup in history, Kuribo's Shoe. Why this hasn't shown up in any other Mario games is beyond me. When I was a child, this shoe was cool. At 27, this shoe is simply amazing. But man, was it long and sometimes excruciating to play through this in one sitting. Twice I had to take a break because my hands started to cramp up. Nintendo should have thought about adding something to save your progress, but at least later releases allowed the ability to save. Still, I think this could be the greatest Mario game ever created, for the simple fact that it was so revolutionary at the time. Sure, Mario 64 was revolutionary as well due to the 3D nature of the game. But when I completely finished Super Mario 64 in October, I immediately dreaded the idea of going back to it. I was done, all 125 stars collected. Absolutely no reason to go back and play again. But after the mindcrunch that was SMB3 at 1:30 a.m., I still want to go back and play it, if only to try beating the game with that frog suit. 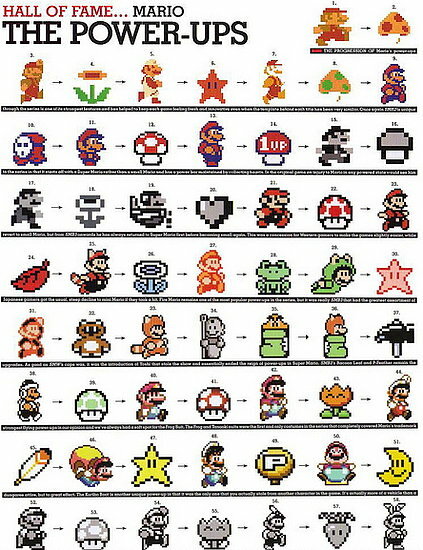 I still like the third iteration of Super Mario best because of the wealth of abilities (the frog suit rocks!) in the game, the fact that it was accessible to novice players while still giving skilled gamers a challenge, and the fact that it appeared in a movie with the dreamy Fred Savage! had so much creativity in level and enemy design. And being the nut I am, I felt the need to record this feat in my life as well. Think I'll get a chance to pull four-hour NES sessions when our child is born? I don't think so either. Thank God that one item is crossed off my digital bucket list. I prefer Ben Savage over Fred.